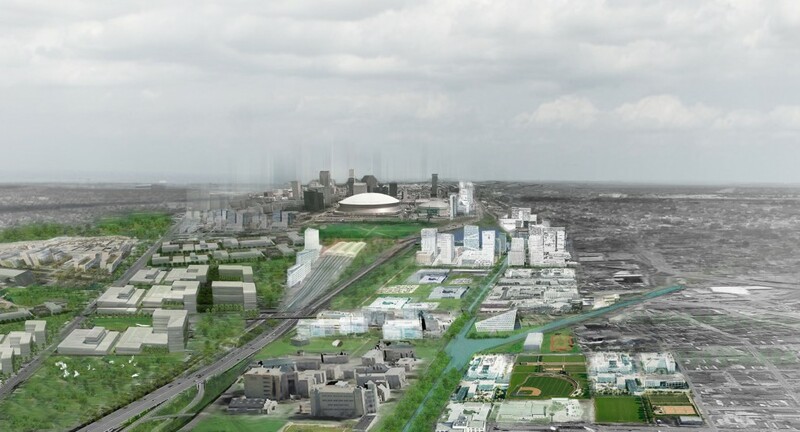 While the colloquial description of New Orleans as the “Big Easy” lives on and is an apt slogan for many, the key elements of New Orleans’ post-Katrina comeback have been the extraordinary hard work, dedication and passion of innumerable residents, leaders, funders and boosters: in short, New Orleans’ story of survival has been anything but easy. Yet we have survived and persevered—according to many indicators, better than ever before. We are aware of the progress made, but never lose site of the extraordinary work ahead. Whether it be addressing our epic coastal erosion, our consistent subsidence, our pervasive gaps in social equity and access, our ongoing educational reforms, or public safety and justice system, New Orleans’ never stops confronting the challenges ahead. This unbridled determination to never give up, never give in, and only improve can best be summed up in one work: resilience. These are just a few highlights of progress that has been achieved across the region in the 10-years since Hurricane Katrina and 5 years since the BP Oil Spill—all of which are worth sharing with attendees, both nationally and internationally. Moreover, New Orleans has not always been the one with the answers. After Katrina, we were humbled by the resources and expertise that came from as close as our good neighbor, Baton Rouge, and from as far away as Qatar and the Netherlands. Furthermore, global best practices in resiliency abound. Whether it’s the multi-year recovery of Japan after the devastating Tsunami in 2011, or the recent response of Parisian officials after the past year of terror attacks, our world is as fraught with horrific catastrophes as it is with extraordinary responses. Yet, all too often, resilience experts and emergency officials only collaborate in the wake of a disaster –– RES/CON is shifting this paradigm, allowing these professionals to meet and share ideas to build the better world we all strive for. In that spirit, it is my pleasure to welcome you to RES/CON New Orleans: a forum dedicated to adapting, thriving and sustaining together. Join us and join the movement for a better, more resilient tomorrow. Robin Barnes is leading “Who Will Do the Work?” on Wednesday, March 2 at 2:30 p.m. Learn more online at http://resconnola.com/session-description/.